I love nativity scenes in their various beautiful guises. There are pics of some pretty elaborate nativity scenes at Wikipedia. there's always The Nativity Story. ps: your comment today mad me laughed hard, didn't know there was a Bruce Lee in you! Yeah, kickboxing classes at a nearby dojo were my self-styled 'release the anger' therapy sessions after a bad work experience as a chef. 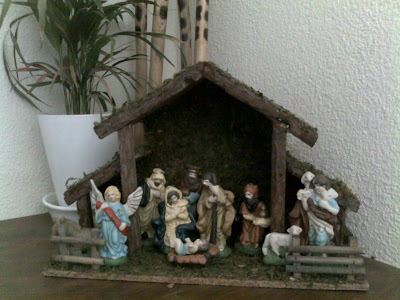 Defo agree on nativity scenes as traditional heirlooms. I have a Robin Hood chess set that I also feel the same about.